Christina's major in Development (and an internship at the UN!) led her all the way to Tajikistan, where she now works as a Junior Expert in Nutrition and Partner Coordination at Welthungerhilfe. "During my degree I interned with the UN Environment Programme in the USA for three months through the International Internship subject. This led to a series of internships after graduating; one more with the UN Environment Programme in Thailand and one with Welthungerhilfe in Tajikistan. 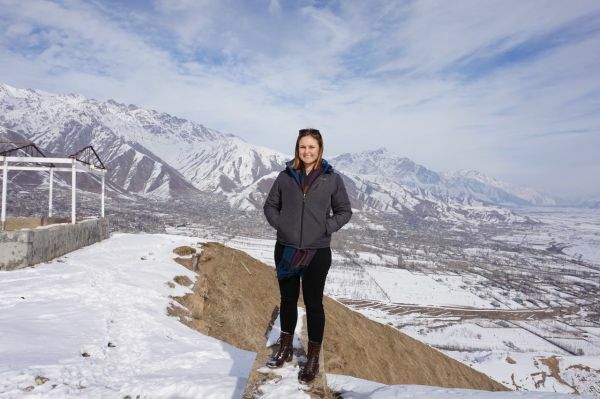 After the Tajikistan internship I was contracted as a short-term consultant before applying for another role within the organisation, and that is where I am now! Essentially the OEP and the degree helped me gain relevant work experience which was otherwise lacking as I’d entered the course straight from my undergraduate degree. I’m working with Welthungerhilfe in Iraq as a Junior Expert in Nutrition and Partner Coordination. I started here in October 2017, working within a project that is helping returnees and stayees reestablish sustainable agricultural livelihoods after the destruction caused by the ISIS conflict. My main responsibilities are to lead activities related to dietary diversity and nutrition and manage the general coordination with our National Partner NGO."